Welcome to my new series of posts here on Maisie Ivy: The Discover Series. I'll be introducing newer brands I have recently discovered and share them with you so that you too can enjoy. Yes, I am extremely loyal to my favourite high-street and high-end brands, but there's no feeling quite like discovering something new, undiscovered and fresh. So here I introduce to you, Baserange. 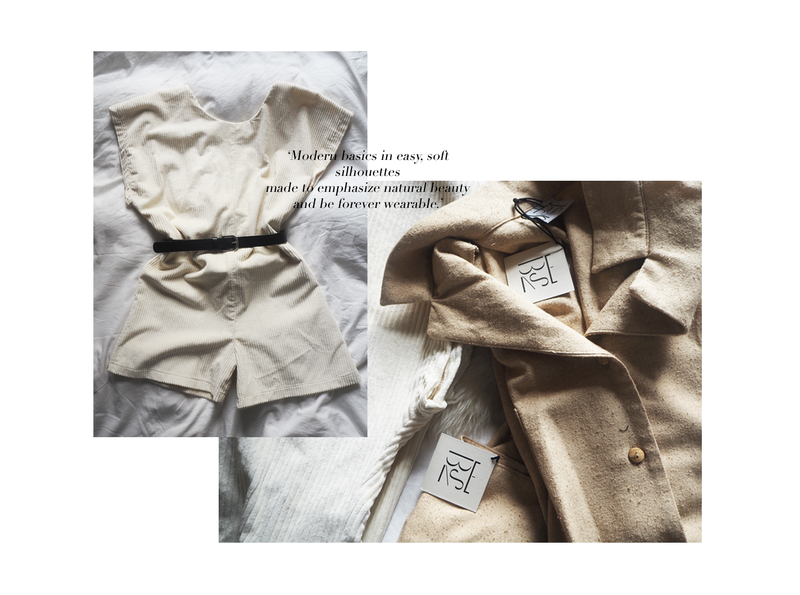 After a recent trip to Village PR I was introduced to the sustainable French/Danish brand and instantly fell in love with a whole rail of muted nudes, beiges and off-whites in a range of natural, raw materials. My favourite pieces from the collection were shapeless corduroy playsuits and oatmeal overalls (the above has been styled with my own belt). I'm having a little bit of a thing with nudes and beiges at the moment - stripping things back down to basic. Baserange have quite literally created a range of basic, no-fuss staples that everyone is after.